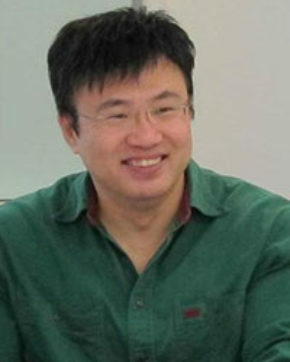 Professor William K. NG is from the School of Computer Science and Engineering at Nanyang Technological University, Singapore. He works in the areas of machine learning, privacy-preserving techniques, query-permissible encrypted databases, and more recently in enterprise blockchain systems, and blockchain security. His work is motivated by the need for users in the digital age to retain data ownership rights to whatever they create, even if it is a picture or comment posted to a social network. He looks into enabling technologies to help users gain data ownership rights. In recent years, he was General Chair of the 18th International Conference on Information and Communications Security (2016), Senior Program Committee Member of the 22nd to 17th Pacific-Asia Conference on Knowledge Discovery and Data Mining (PAKDD’18, PAKDD’17, PAKDD’16, PAKDD’15, PAKDD’14, PAKDD’13), General Chair of International Symposium on Cyber Security (CyberSec2013), International Advisory Committee Member of the 7th International Conference on Knowledge Information and Creativity Support Systems (KICSS2012), Program Co-chair of International Mobile Technologies in Enterprise and Social Computing Workshop, held in conjunction with ACM Mobility Conference (2010), and Program Committee Vice Chair of the 11th Pacific Rim International Conference Artificial Intelligence (PRICAI2010). He is Associate Editor and Member of Editorial Boards of five journals.